Your Mansfield garage is the winner’s choice! Thank you for choosing us as your Mansfield garage! What do you think of when you hear the name Mansfield? Do you immediately associate it with such adjectives as dynamic, growing, affluent and friendly? No doubt all of these words describe an attribute of Mansfield, Texas. Whether it’s a city or business, you’ll agree that both are known by the reputation it creates. What do you think of when you hear the word garage? Sadly, we’ve come to associate this word with less than complimentary descriptors. Why is that? Perhaps it’s because too often we’ve been taken advantage of by less than scrupulous garage owners and mechanics. Thankfully, B&M Auto Specialists doesn’t fit into this category. We’ve worked hard to earn your trust. And it shows. Awarded the prestigious honor of being the Best Auto Repair Shop in Mansfield, we continue to make it our mission to provide you with quality work and exceptional customer service. Being ‘okay’ just doesn’t cut it. We know that you could take your vehicle to any other garage in Mansfield. When you choose to trust us with your means of transportation, you can confidently relax, knowing that we are committed to providing you and your vehicle with exceptional service. What can you expect when you bring your vehicle to our garage? We are dedicated to making sure your vehicle is serviced and repaired right. And we insist on treating you with the respect and care you deserve. 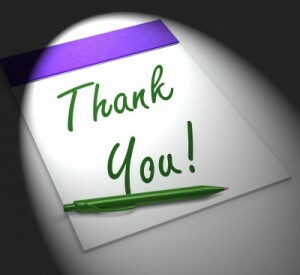 To all of our loyal customers in Mansfield, thank you for making us the garage of your choice!